I am not alone in not loving the Girl Scout Journeys. They're overengineered, all over the place instead of tightly themed, and there is inevitably a disconnect between the girl book and the leader book. Nevertheless, Girl Scouts who are Juniors and above must complete one Journey before they can begin earning the Higher Award at each level, and there is a special award that a girl can earn for completing three Journeys at her level. And guess who wants to earn that Summit Award before she Bridges to Senior in the fall? The kids earned the Breathe Journey last summer, we've been slowly working our way through the MEdia Journey all school year, and this summer we're simultaneously working through the badges that represent the Outdoor Journey. Syd will end up earning the Summit Award, too, simply because she might as well if Will is already doing it. The Cadette MEdia Journey is an awkward juxtaposition of semiotics, comparative media studies/writing, gender studies, and self-improvement seminar. For instance, girls are asked to collect and analyze ads for their portrayal of women, make a healthy, honey-sweetened strawberry lemon sorbet, and play Taboo using only female celebrities--all in the same meeting! And only that first activity actually counts towards their Journey. The rest is just filler pretending to be enrichment. To adjust this Journey for my own kids, then, I deleted entirely the pop culture crap--pop culture isn't one of my own kids' areas of interest, and they don't know celebrities and aren't much interested in hit songs, etc. I bumped up the semiotics so that we're spending most of our time doing critical analysis of pop culture media, which actually works much better since the kids aren't invested in pop culture media. And I kept the self-care aspect, because I agree that's important for tweens and teens to learn (although we didn't make that sorbet...). This session, then, was all about self-care! Syd has been wanting to make bath bombs, so we tied it into the MEdia Journey girl book, pages 48-49, entitled "Your Body, Your Friend." In this passage, girls are encouraged to check in with themselves and notice how they're feeling physically and emotionally, and to care for themselves the way they'd care for another. I explained the aspect of taking a bath as a kind of Self-Care Relaxing Me Time, and we made bath bombs. 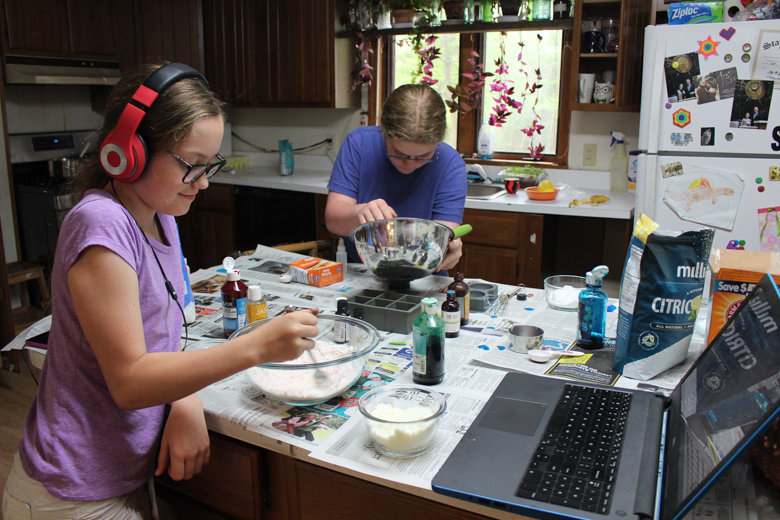 I had thought that the kids would work together, but each preferred to make her very own batch just the way she wanted it. I made myself a batch, too! 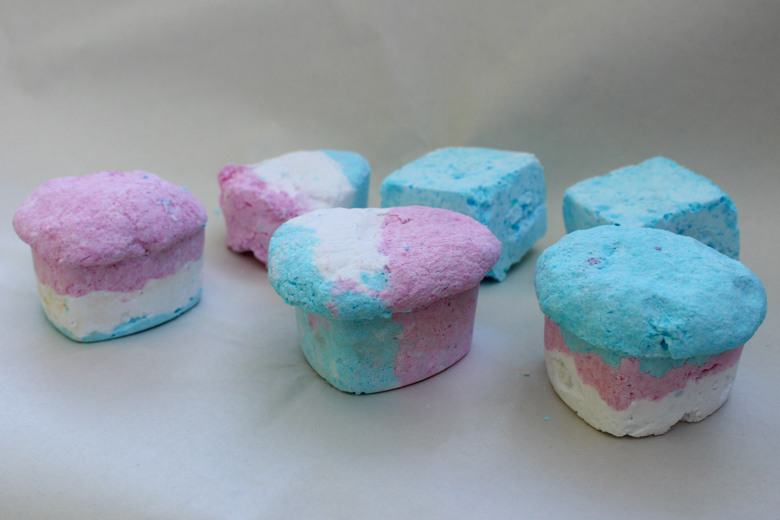 Surprisingly, the bath bombs in the molds puffed up as they dried. 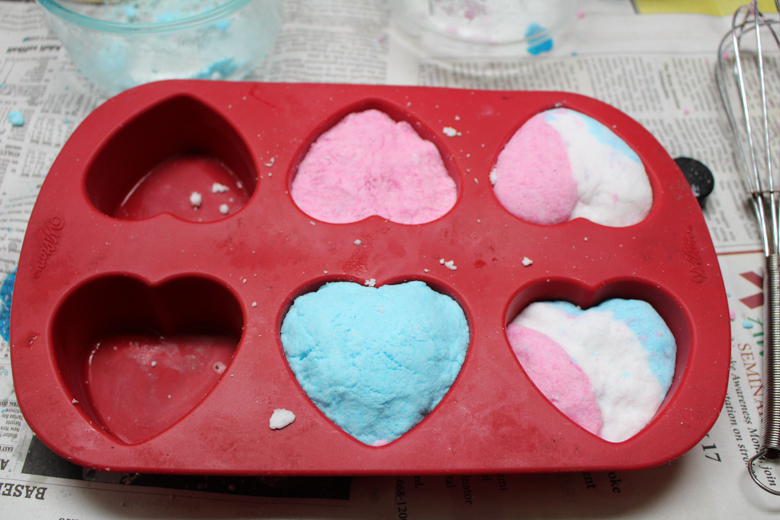 I really like the ones that we put into the heart-shaped molds; I think they look like cupcakes! Overall, we all preferred the look of the traditional spherical bath bombs, so if you're doing this for an entire troop, you could save money by using molds or muffin tins, but I think you should splash out on some cheap plastic bath bomb molds. The result is worth it, especially for kids who are familiar with the ridiculously expensive bath bombs that they sell in the mall. Syd did some more experimenting (of course!) and made several more bath bombs, and each kid has enjoyed doing some self-care by taking a relaxing bath with some of her bath bombs. Syd really wanted to make bath bombs with Epsom salts, so I found this recipe for us to try soon. This recipe uses cornstarch. I'm not sure why it's needed, which is why I want to try it. Syd thinks that these geode bath bombs look great, but I am extremely dubious--one, about what the coconut oil will do to our drains (mainly, clog them?!? ), and two, about what the lustre dust will do in the bath (mainly, sit on top of the water and cling to one's skin). I LOVE the idea of hiding a small treat inside of a bath bomb. I think that this would make such a cute party favor or gift for a kid. We have some of this mica pigment for Syd's slime-making hobby, so we could make these pearl bath bombs! A hidden color inside a bath bomb sounds really fun, and I have activated charcoal on hand. Ooh, here's another bath bomb with activated charcoal in it! I might be obsessed now. I will never not love anything galaxy-themed, and I like the look of this particular galaxy bath bomb recipe the most. 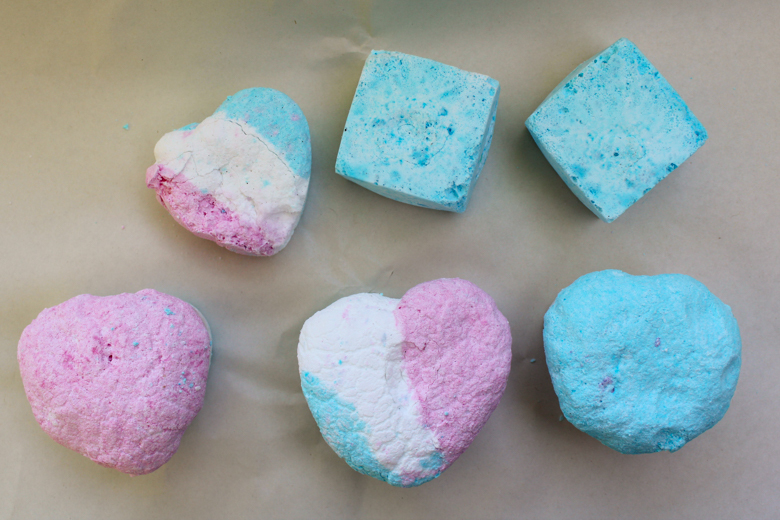 Did you know that bath bombs are also excellent science? They're a terrific demonstration of an acid-base reaction that utilizes a catalyst. 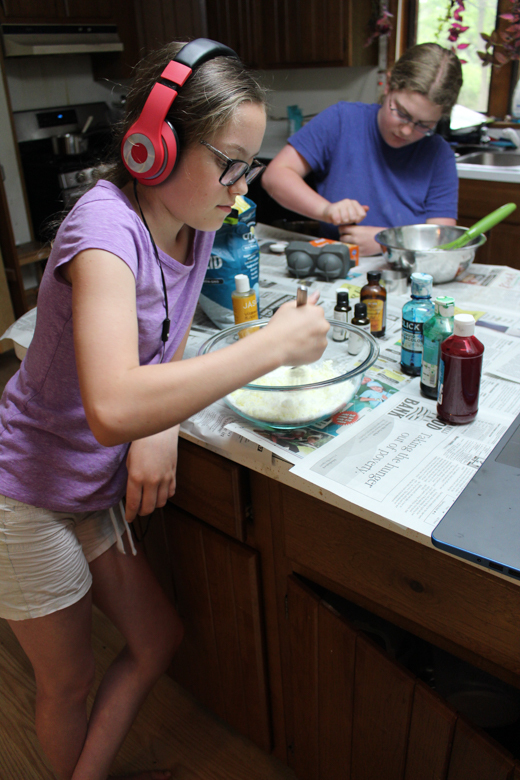 A few years ago, I wrote about some great acid-base chemistry experiments that the kids and I did (including the exact one that you use to make bath bombs! ), and suggestions for further exploration. P.S. Want more in-the-moment hands-on homeschooling projects? Follow my Craft Knife Facebook page!